$29.95 In stock. Order in the next 9 hours, 49 minutes and it will go out today! Do you want to start performing magic in a professional environment? Do you want to start getting some gigs, or perhaps raise your game at the gigs that you already work? Then, David Stone's book may have the answers for you. There are no tricks in this book: instead it's a manual for the world of professional close-up magic. It's a thick softbound book that is packed full of great advice for both the newcomer and expert in this field. The book covers things like how to approach a table, the different venues that you could be working in, different promotion techniques, using specific lines to elicit applause, the best way to leave a table and much more. It's the kind of stuff that you can either learn from experience, or spare yourself the headache and be taught it! Vanishing Inc co-founder Andi Gladwin read most of the book in one long sitting. It's a fun, easy read and there is plenty of meat within. Our advice: the book starts off slow with a weirdly-placed history of magic, but does drastically improve. Several of our friends have agreed with us on this and they're all glad they kept going! 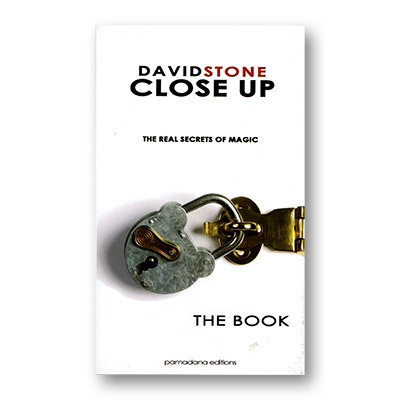 We wholeheartedly recommend this book to anyone serious about performing close-up magic. It will truly help you in your performances!